Pro-face software products include HMI application creation, acquisition of a range of device information, and remote control and monitoring. In addition, software suitable for your application such as SCADA software that can be used for analysis of quality-related data is available. A Premier HMI Development Software that supports Dedicated and Open HMI (PC-based) solutions. 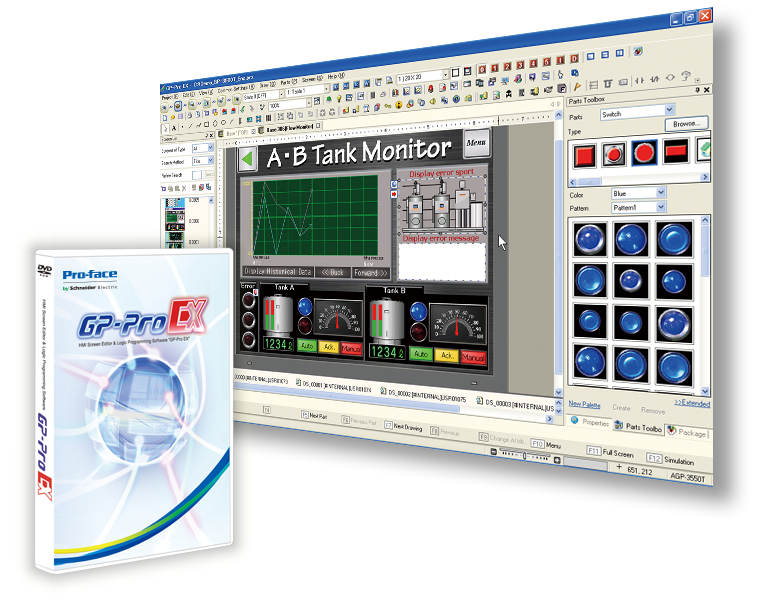 GP-Pro EX is compatible with data in the past and has lots of functions that reduce development time. How can productivity and efficiency be improved without remodeling the existing equipment? The first step to cut waste at the production site and meet the diversified needs is to acquire all the data of the equipment. 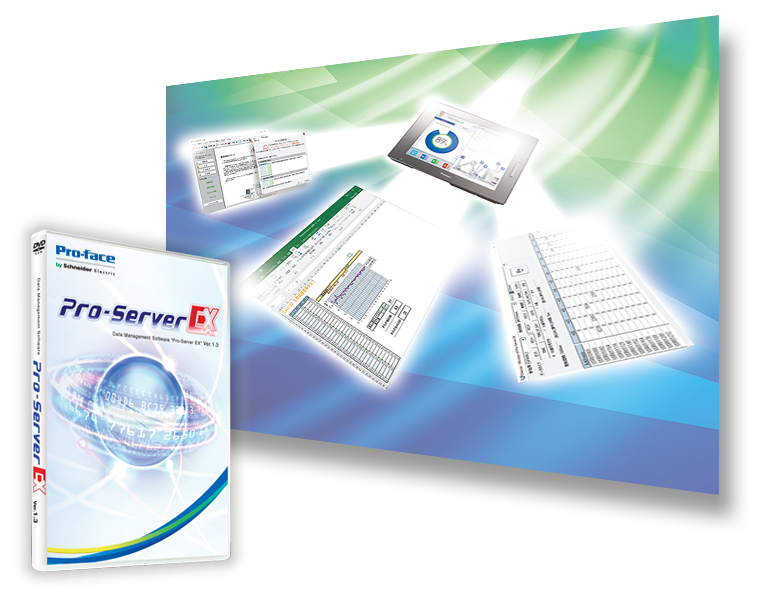 Pro-Server EX is data-collecting software that easily connects the production site to the office through a network with simple settings at low cost. 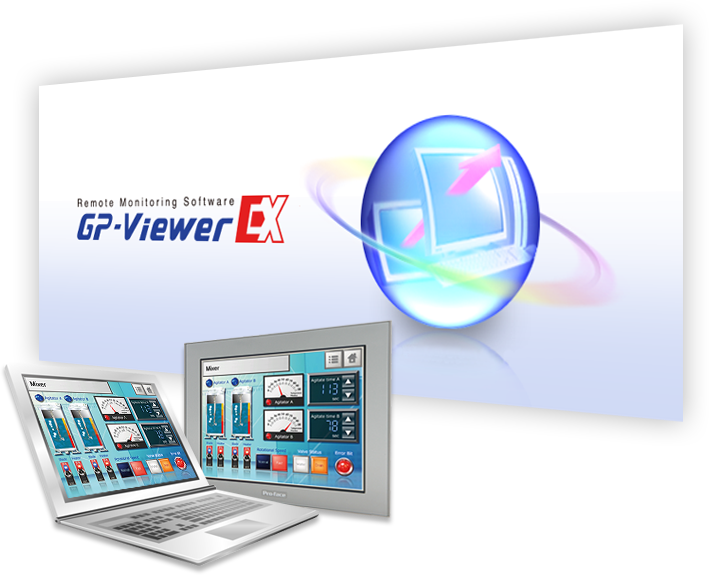 GP-Viewer EX software allows you to monitor and operate on-site screens from a remote PC. It's unnecessary to newly create screens and programs. Remote control and monitoring systems can be easily configured. See information of equipment on a tablet or smartphone. 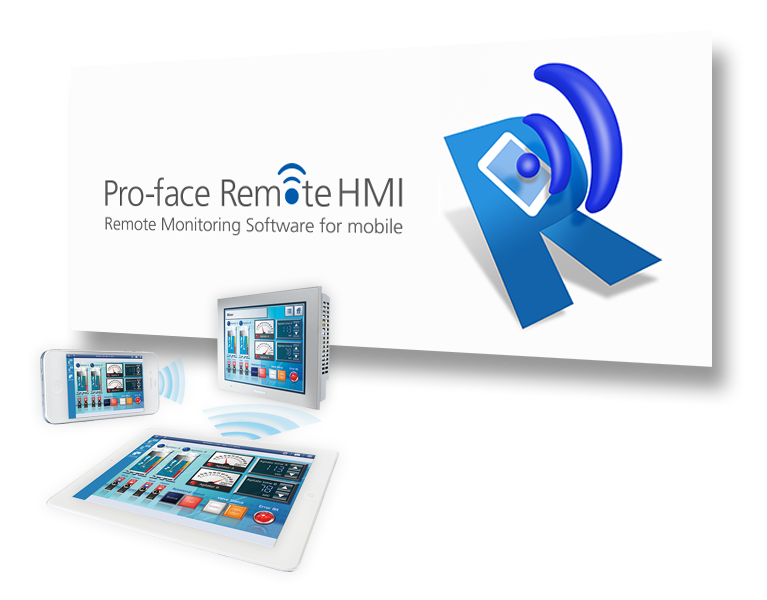 Pro-face Remote HMI is remote monitoring software for mobile devices and allows viewing equipment information on a tablet or smartphone.